The first year we started making wine here in our basement, crawl space, rather, was 2003. 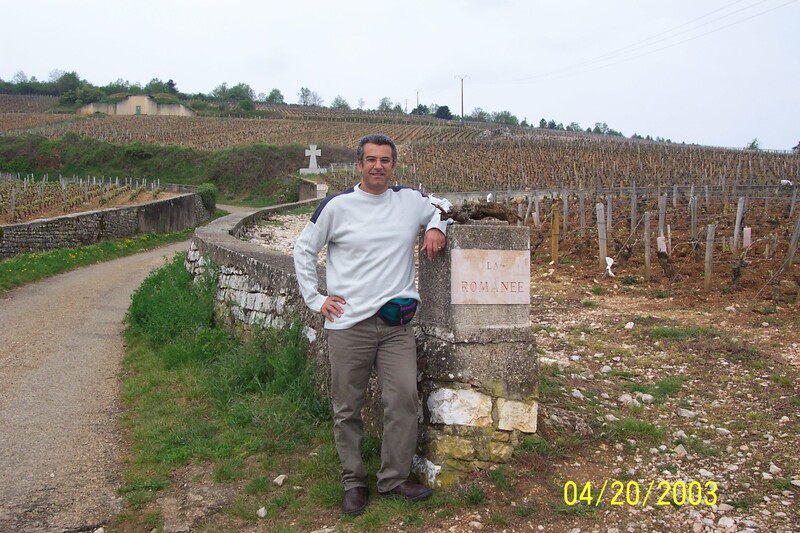 This was also the hottest year in one of our favorite wine-producing regions, Burgundy. It is not coincidental that I know this for it was in the warm spring of ’03 in Burgundy, standing next to such fabulously famous yet incredibly unassuming signs as La Romanee, Gevrey Chambertin and…slurp….sorry, I’m salivating just typing these names…that we said something to the effect of “Let’s do it” or “What the heck! ?” Probably too loudly because then the two small children and one larger child in the back of the rental car woke up, started crying and threw a wet blanket on our romantic dreams. Uzi, however, had grown up watching his grandmother make wine from the grapes that grew on their property. And even though Uzi’s feet apparently were not clean enough to stomp the grapes, he has vivid memories of his sister barefoot romping and stomping in the grapes. So we did head home from France and that fall we took the plunge and bought a few hundred pounds of grapes. We chose Sangiovese that first year in order to cut our teeth on a less finicky grape to work with than Pinot Noir. Travel will do that to you=give you crazy ideas. I’m glad you decided to take the winey plunge. Yes, it’s been an interesting process to actually implement one of these ideas you get while traveling. You’ve had these I take it. Say hi to Oscar and cute little Cip!